Paul Michalik practices in civil litigation, commercial, property, and insurance. Paul provides advice to Government agencies and insurance disputes resolution bodies on complex insurance matters. 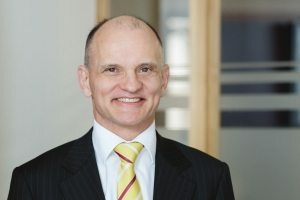 Paul Michalik has acted in disputes for prominent developers and commercial property owners in the Wellington and Christchurch regions, for local and international insurers, and for individual insurance claimants. He has litigated major cases in commercial contract enforcement, liability insurance, health insurance, and leasing and property disputes. Many of these disputes have proceeded through arbitration, and many also settle at mediation. Paul enjoys providing strategic input on complex commercial issues and is experienced in all of the civil courts of general jurisdiction. Paul Michalik is convenor of the NZLS Wellington Branch Courts, Tribunals and Alternative Disputes Resolution Committee and occasionally serves as a Costs Assessor. From 2001 to 2011 he taught Insurance Law at Victoria University. He was a longstanding member of the National Committee of the New Zealand Insurance Law Association. With one co-author, he wrote Insurance Claims in New Zealand (Michalik and Boys, LexisNexis, Wellington, 2015). He is an author of Cross on Evidence New Zealand Edition, writing the sections on Privilege, Confidentiality and Estoppel for this multi-author work, for both online and hard copy editions. Paul graduated from Victoria University of Wellington and was admitted to the Bar in 1993. Paul completed a Bachelor of Civil Law at Oxford University in 1996-1997, and taught as member of the Oxford University Faculty of law for one year, before returning to private practice in New Zealand. He has worked for and been a partner in a national law firm, before joining the independent bar in 2011. Paul has twenty-four years experience giving legal advice, and helping people to resolve their disputes. Paul is an avid skier. He cycles to work when it’s not raining, and enjoys spending time with his family and practicing Kyokushin Karate as an instructor and third degree black belt. Paul loves to travel, especially if it involves a chance to ski somewhere new and exciting. He loves to learn, and Saturday afternoons will find him working on his language skills at the Wellington Chinese Language School.